I’ve been given quite a few CDs to evaluate and publicize in the past, and I’ve loved many of them, but none has moved me the way AN AIDS QUILT SONGBOOK: SING FOR HOPE has. 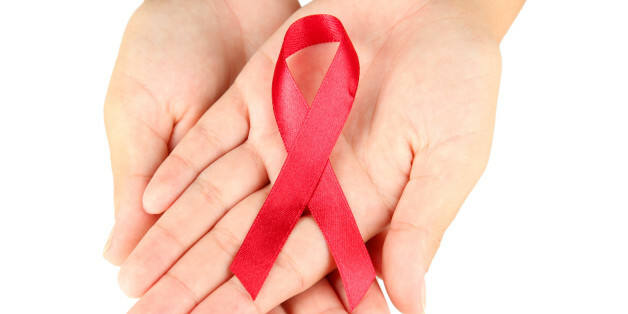 I only regret that this post goes in after Dec. 1, so World AIDS Day has come and gone. At 52, I’m a very fortunate gay man of my generation—first, that I’m alive, and second, in that most of the dead men in my address book were taken in other, less agonizing ways. But I remember when the AIDS Quilt was new. Heck—I remember when AIDS was new. I remember when AIDS was by default a terminal illness, not a manageable one. I remember the phenomenon of the “double whammy”—first telling one’s family you’re gay, then telling them you have AIDS. I remember the feeing of fear and despair, even though I wasn’t touched nearly as closely as many I knew. Nowadays there is a popular perception that AIDS is no longer a deadly disease. Well, that is wrong. And people with AIDS/HIV still need services they can’t afford to provide for themselves. I’m happy projects like this take a step toward educating people, and take many steps toward supporting AIDS/HIV services and research organizations through sales proceeds. As usual, I can’t describe all the tracks on this wonderful CD. I can only speak of a few. The disc features many of my favorite singers—people at the heights of their careers, like Joyce Didonato and Matthew Polenzani, and great singers on the rise, like Jamie Barton and Daniel Okulitch and Melody Moore. Every song is sung beautifully, with great artistry and attention to the lyrics. I can not fault any singer for anything. I love it when I can say that. My very favorite track is called “ATRIPLA!” (music & lyrics by Eric Reda), sung by Jamie Barton with Kenneth Merrill at piano. The text is taken from a drug insert, listing uses, side effects, contra-indications with great joy and humor. The song cleverly shows the ludicrous nature of much this language, and Miss Barton shows great humor in her performance. The next track, “Her Final Show” (music Drew Hemenger, lyrics Rafael Campo), sung by tenor Anthony Dean Griffey with pianist Thomas Bagwell, shows both the vulnerability of a dying drag queen accustomed to grandiosity, and the compassion of a medical professional. Remember that HIV/AIDS has always hit sexual minorities much harder than it hit the “mainstream” gay white male community. “Retro” (Daniel Okulitch, baritone, Glen Roven, piano) is my favorite of any Glen Roven song I’ve heard—which says a lot. The poem by Gavin Geoffrey Dillard talks about the anachronism of enduring HIV treatment during the 90s and 2000s. My wish for all of your holiday seasons, whether you’re Christmas people or not: Don’t get your family members more stuff, your mothers more knick-knacks to dust, your nieces and nephews more toys to exchange. If you’re reading this post, you’re probably not destitute, and your family isn’t either. Support your family when necessary, of course, but support them spiritually and mentally by supporting charities in their names: The Heifer Project, AMFAR, local AIDS/HIV service organizations like GMHC or God’s Love We Deliver, or something close to your heart, like Education Through Music is for me. Even if, as I do every year, you endure looks on your family’s faces that say “Where’s our stuff?”, remember all of you will be better off if you share what you have with others who are less fortunate.